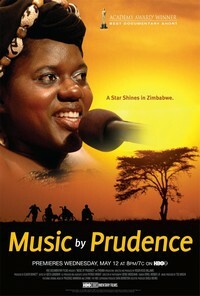 Music By Prudence is a documentary about Zimbabwean singer and composer Prudence Mabhena, who suffers from anthrogyposis. She started a band, called Liyana, with seven other musicians with other physical illnesses, and has become a voice for those with disabilities who live in a society that generally abandons those with physical illnesses. TURNER, MIKI. “The Journey Of Prudence.” Jet 117.22 (2010): 21. MasterFILE Premier. Web. 13 Apr. 2014.